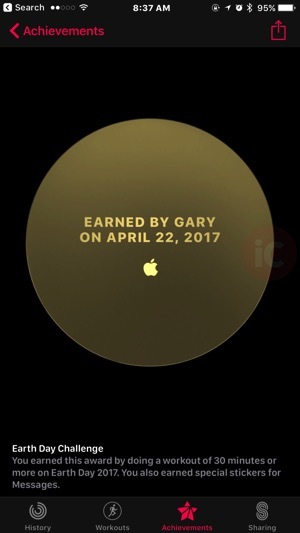 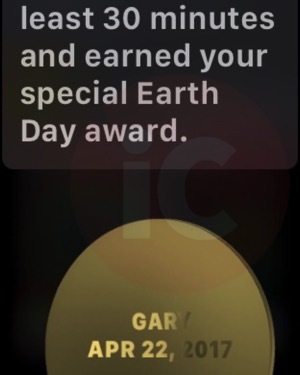 Today is Earth Day and Apple is encouraging its Apple Watch users to get outside to earn a special achievement, which comes with exclusive iMessage stickers. 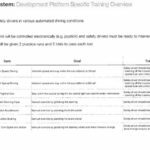 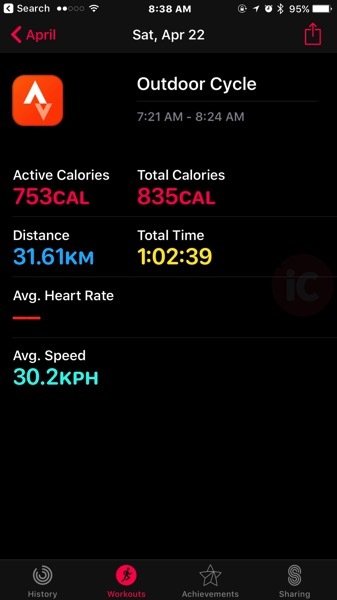 Users need to walk, run, cycle, wheelchair or swim workout of 30 minutes or more, using the Workout app or a third party app that writes to the Health app. 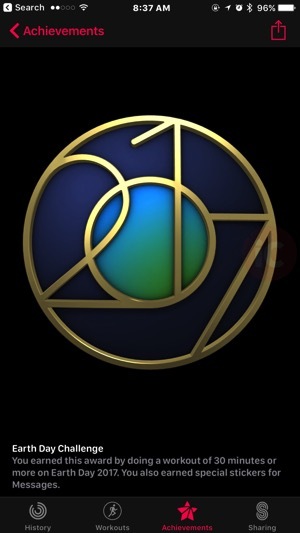 We went out for an early bike ride this morning and to earn this Earth Day achievement, just so we could show you what the notifications, badge and iMessage stickers look like (and we needed to burn off that bucket of KFC for dinner last night). 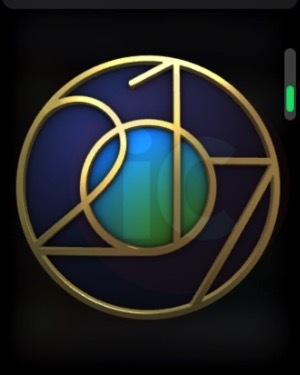 We’re big fans of Strava, which we use way more than Apple’s Workout app. 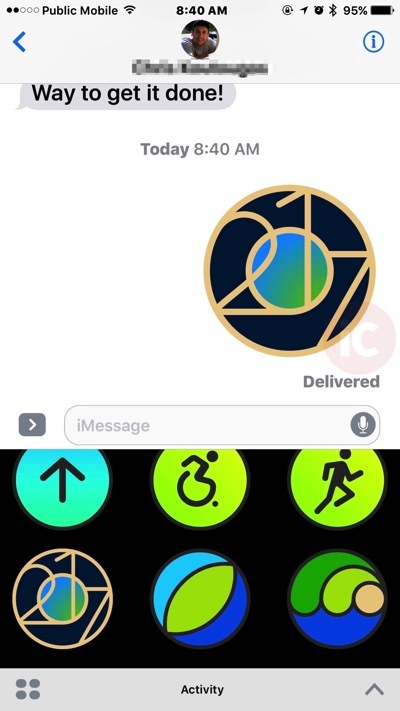 Of course, your job is to send these iMessage stickers to all your friends with an Apple Watch, to encourage them to earn these as well, which are only available today. 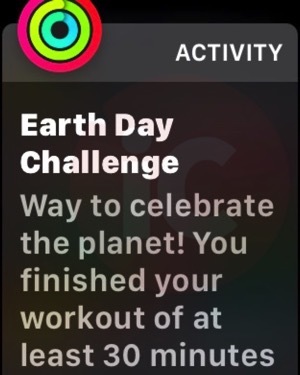 What did you do today to unlock the 2017 Earth Day Activity challenge?